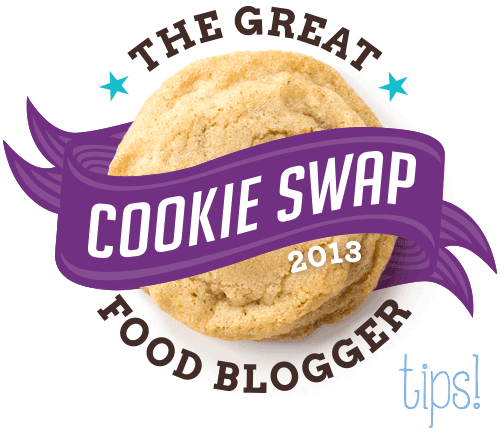 If you've signed up for 2013's Great Food Blogger Cookie Swap, then by now you're deep into cookie and packaging brainstorming. As you should be! The deadline for getting those babies made, photographed, packaged, and shipped is December 2nd! Which as we all know is right around the corner. This being my third year participating, I thought I'd share with you guys my cookie recipes, should you still be looking for a good one to use AND how I packaged up my lovely things to be shipped! I also want to share some things I've learned along the way! So if you're needing a little help, you've come to the right place! For my first year, I decided to stick with a classic cookie but snazz it up a bit. Give it a little kick! I was so nervous about what the perfect cookie would be. It couldn't just be any cookie for this type of thing. It needed to stand out! So I decided on and made Brown Butter Salted Chocolate Chip Cookies. My recipients loved this idea and I had so much fun doing this type of thing, that for my second year I stuck with the "Classic Revamp" idea! I made my Chai Tea Sugar Cookies for 2012's swap. Hint: this year I'll be sticking with the same theme again! I just love taking standard classic beauties and giving them a makeover. Can't wait to show you. Rule number one when it comes to this cookie swap- make sure your cookies are sturdy little suckers and will handle the transit! I know there are plenty of delicate gorgeous cookies out there and I'm all about them too. But for this swap, not the place to use them. We're shipping cookies (sometimes) straight across the country, and those mailmen aren't as nice with our packages as we would be. I guarantee your cookies will arrive in crumbs instead of their beautiful selves, should you choose a more delicate cookie instead of a sturdy one. Rule number two- make sure your cookies do not have components that will spoil in the long transit time. Meaning, those delicious whoopee pies with swiss buttercream filling? Maybe not the time for them. Even if you ship your cookies in a priority mail package (which you should be anyway...we'll get to that later) you're still looking at a few days transit time. Any filling that needs to be refrigerated...won't be...and could make your recipient sick. Bleh. No bueno. So stick to a cookie that could sit room temperature for a few days. Packaging Packaging Packaging! Shipping, Shipping, Shipping! From what I've heard, this is what scares swappers the most. So let me share with you guys some of my ideas. My second year I was a little more comfortable as I had learned from the year before what I needed to continue doing AND what not to do again. So I focused a bit more on my actual cookie packaging and made them look as cute as possible! Rule one when it comes to packaging and shipping- Always, always, always, use Priority Mail Shipping. Even better yet, use the USPS's Flat Rate Priority Mail Boxes. You have two options for shipping, but notice both are under the Priority Mail category: regular Priority Mail boxes OR Flat Rate Priority Mail boxes. What's the difference? Well, Regular Priority Mail boxes charge you shipping according to the complete weight of your box and how far the box is going. Whereas Flat Rate boxes are exactly that- flat rate. Meaning no matter how heavy your stuff is, when you choose a specific sized flat rate box, you'll only be paying that amount they show. Why choose regular Priority Mail? If your cookies with their packaging happen to be really, really light weight, you might want to look into this option. Most swappers wanting to go down the Flat Rate method will need to look into USPS's MEDIUM Flat Rate Priority Mail box, which is about $12.35, so make sure your cookies are heavy enough to make this fee (per box) worth it. My first year I chose the Medium Flat Rate Priority Mail box. After three boxes I was paying about $37! JUST IN SHIPPING! Pricey? Heck yeah! BUT my cookies were heavy, and with all the wrapping paper, cardboard inner boxes, and the cookies themselves, it was actually the cheaper option. Includes free tracking, so you can see when your cookies arrive to their destination! Includes up to $50 in insurance, should something happen during transit. SHIPPING TIME OF BETWEEN 1-3 DAYS, versus 3-5+ for regular First Class Shipping. Rule number two- Make sure you package your cookies up safely yet in a super cute way! The first thing your swappers are going to see is your outer box, so vamp it up a bit! Rubber stamps, stickers, washi tape, (if you can) calligraphied addresses....anything you can to make your box stand out. The next thing they will see is your internal/actual cookie packaging. This is where you really get to have fun...so have fun! Choose to package your cookies in a way that is aesthetically pleasing yet keeps your cookies fresh! I've seen many swappers choose the good ol cookie tin approach. So there's that option. To me, 1. Tins are expensive and 2. Tins are heavy. So I've decided to do the cellophane baggie look. With each year I've wrapped my cooled cookies up in food safe baggies and secured them air-tight with rubber bands and twine. Year one I placed my cellophaned cookies into mini cardboard boxes I had decorated with cardstock. I snuggled each little package (only 6 cookies fit into each box! Gulp. Too darn big.) into a nest of fluffy tissue paper and secured the box closed. Cute? Yes. Heavy? Oh yes. This reminds me- stock up on tissue paper! It's a great (and decorative) way to make sure your cookies don't move around too much during transit. Also appropriate? Packing peanuts and other cute lightweight stuffing ideas. Rule number three- *optional* Include little sweet nothings in your package as well. My first year, again not knowing what I was doing, all I included in my boxes were the cookies, a business card, and a little gift tag with what the cookies were. Fine and dandy indeed, but when each package I received included fun little sweet nothings...I felt bad. 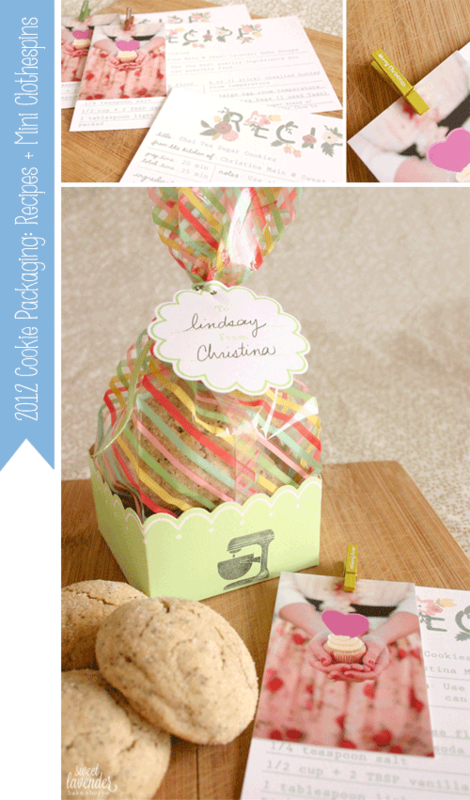 The next year I went a little further and made sure to include a cute little (readable) recipe card, so my recipients could make the cookies again and again, should they choose. I secured all my loose items up together with a sweet mini "Merry Christmas" clothespin (I found a pack of 12 on sale at Target) which I felt really tied it all together. I would strongly suggest always including a business card of yours so your recipients know who you are and how to find you! I would also suggest always adding at least a recipe card. The rest is up to you. But remember, anything you include adds weight. So unless you're going with the Medium Flat Rate Priority Mail packaging, you'll need to be careful of that. Other great things to do- start following all your recipients, so you can see the fun things they post as they start receiving your cookies! Also, be active on all social media with the hashtag #fbcookieswap! This not only allows others to see what you're up to, but allows you to see what others are doing as well! Meaning, it keeps you plugged into this awesome cookie community! Just make sure you're quiet about who you're sending cookies to until after they get your box! I hope this helps you guys out a little bit! Most importantly, remember to have fun! This is totally meant to bring out the fun/creativity in us all and, to me is THE START of the Christmas season! Wheeee! PS- I'll be a little MIA for the next couple of days, so I hope and wish you all a VERY Happy Thanksgiving! Make sure you check back here on Friday though! I have a very special post with a giveaway! Eeeeep! oh my gosh. you're so amazing! i'd never sign up for this, for fear that YOU'D get some of my cookies.. or somebody that had your cookies in years before! They wouldn't compare! Yeah. Right. I am, by no mean, a cookie master. I've had some AMAZING cookies through this swap! You should join next year- it's so dang fun! 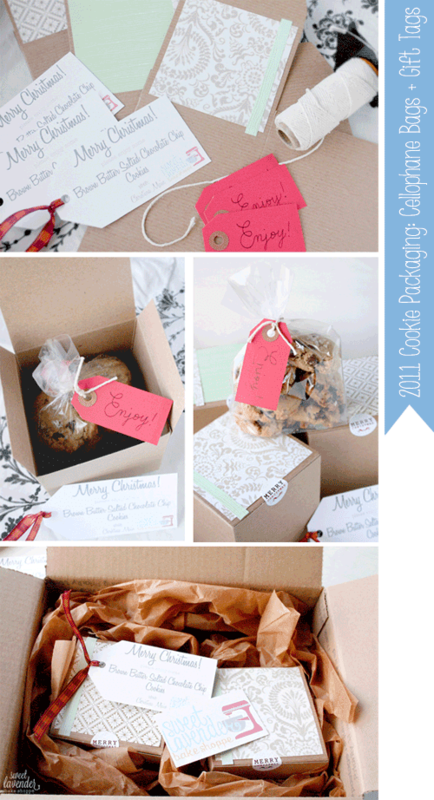 Use your favorite recipe, bake em up, ship em out and get 3 dozen cookies shipped to YOUR door. What better way to gain the holiday 15?